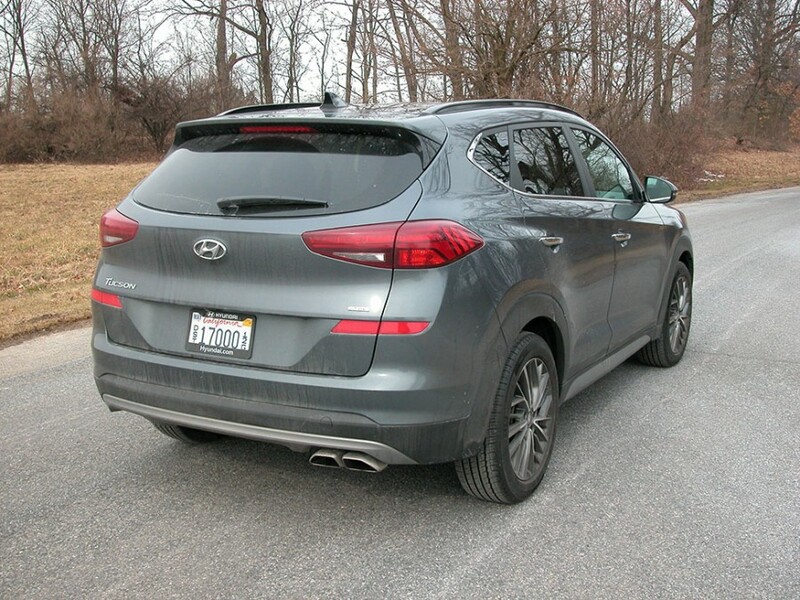 Hyundai’s third generation 2019 Tucson AWD SUV is in a highly competitive compact class. 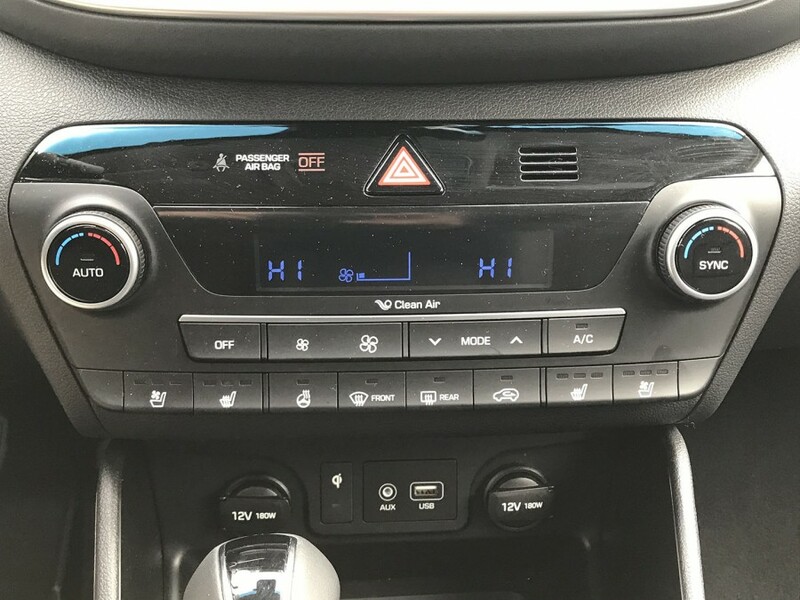 But with top government safety ratings, loads of standard options and reasonable pricing, Tucson holds an impressive edge over its competitors. With a new exterior and interior design that is stylish and classy, Tucson can be had in seven different flavors. 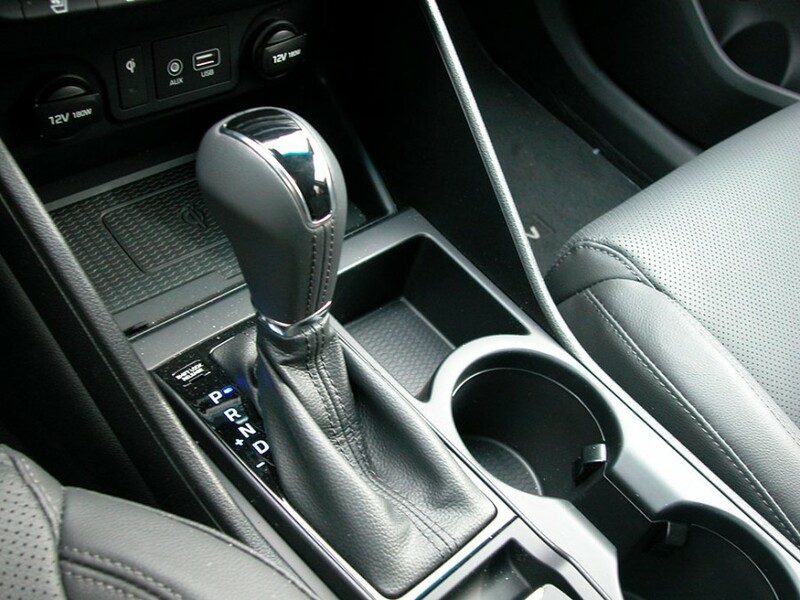 It’s offered with FWD and AWD and in SE, Value, SEL, Sport, Night, Limited and (tested) Ultimate trim versions. 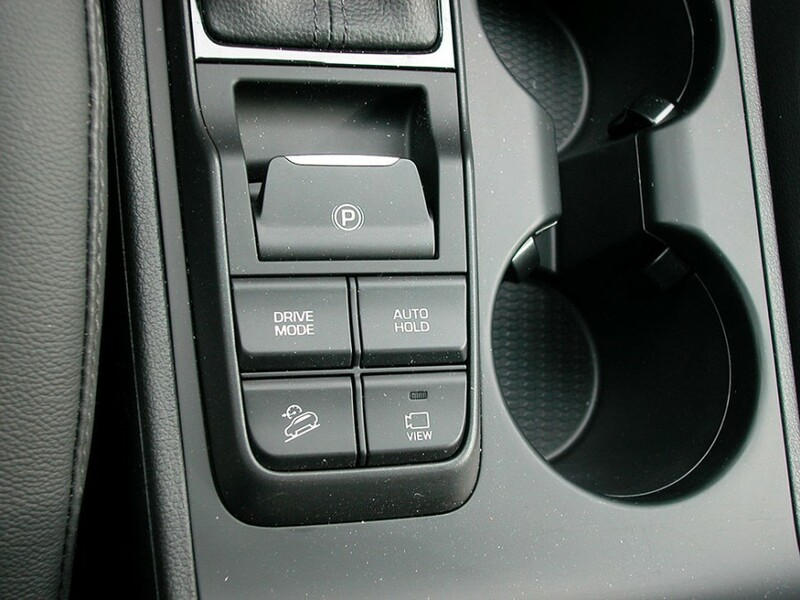 The higher the trim level, the more standard features are included. 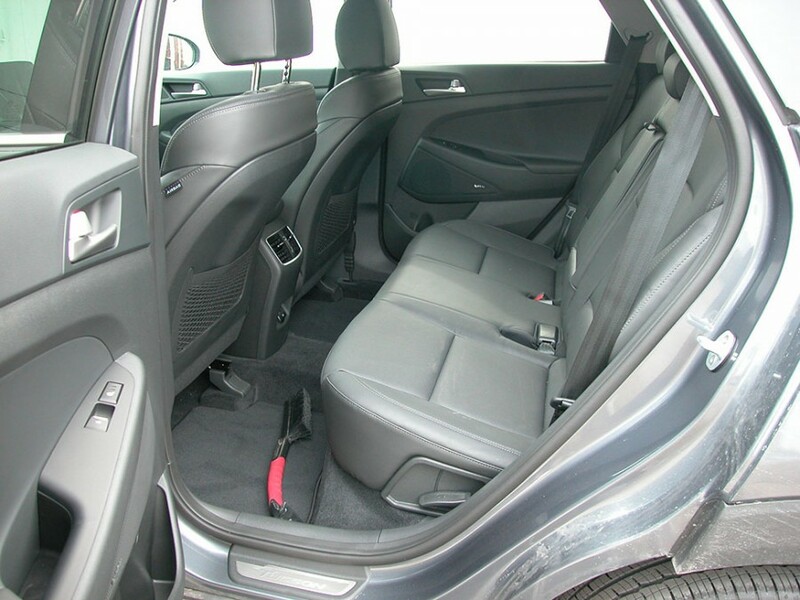 And we should inject here that an N-Line sporty performance model debuted in Europe, but is not planned right now for the U.S.
Step-in into the cabin is an easy 19 inches that treats its occupants with airy spaciousness. 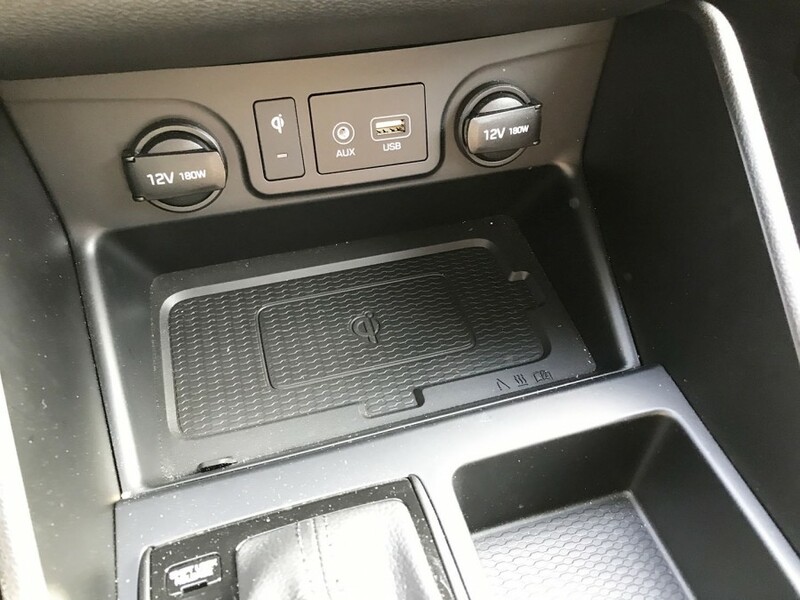 Nicely bolstered perforated leather seating in the Ultimate melds nicely with a clean and uncluttered vertical stack and dash that sports an 8-inch touchscreen (and 4-inch driver’s information display) with split view capability and four views around the vehicle including overhead. 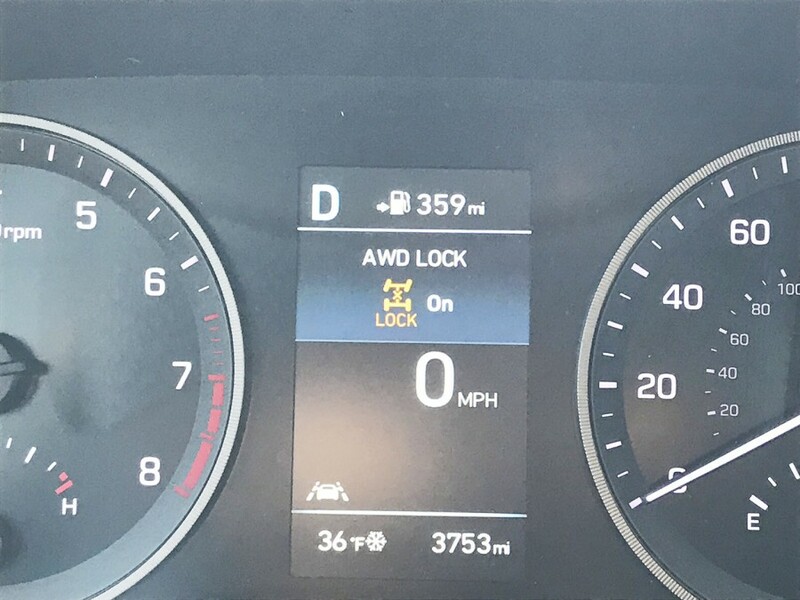 Tucson’s’ AWD system has a lock feature that enables a 50/50 torque split between the front and rear wheels for when driving in snow and slick road conditions. 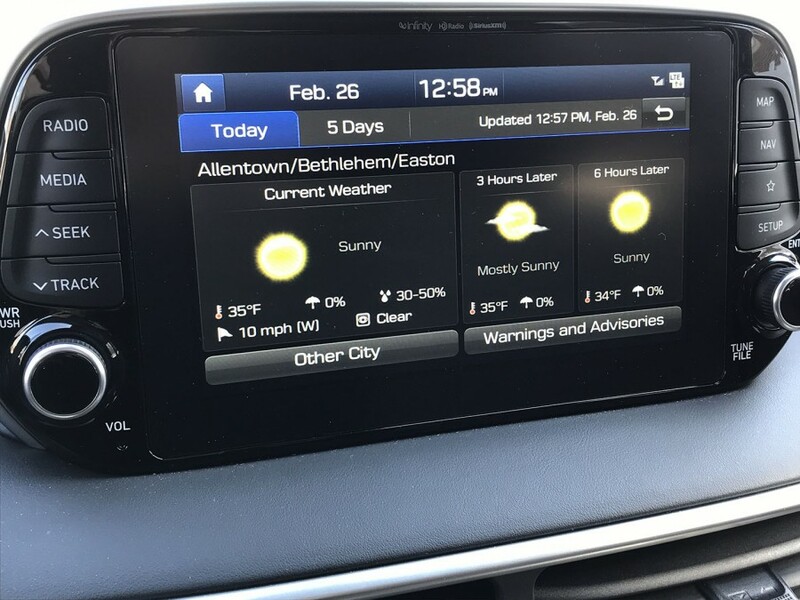 With Hyundai’s Blue Link infotainment system, owners can use voice navigation, start the engine remotely, adjust the climate control, lock/unlock the doors, find the car, summon roadside assistance and more. 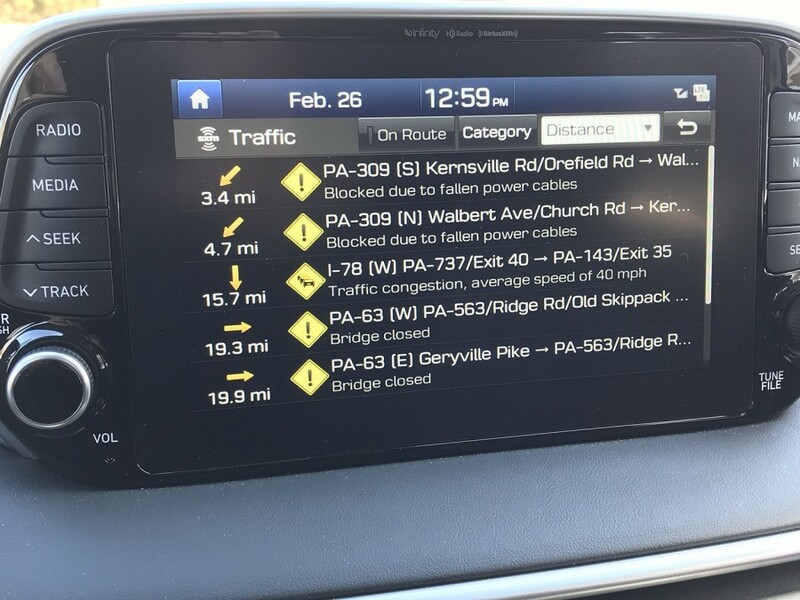 Offered as well are Apple CarPlay/Android Auto and with the Travel app, it provides road closures and accidents. 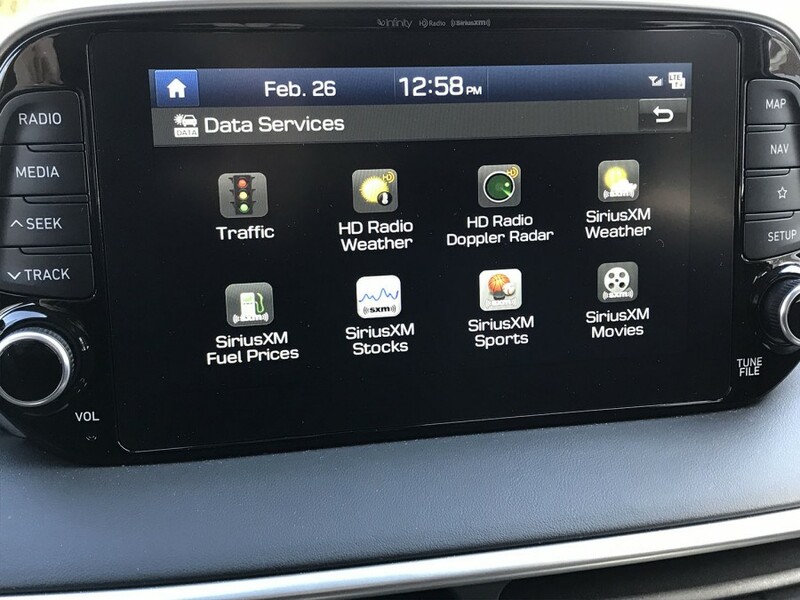 There’s also daily and 5-day weather forecasts with Doppler radar, plus HD Radio Weather verbal reports. 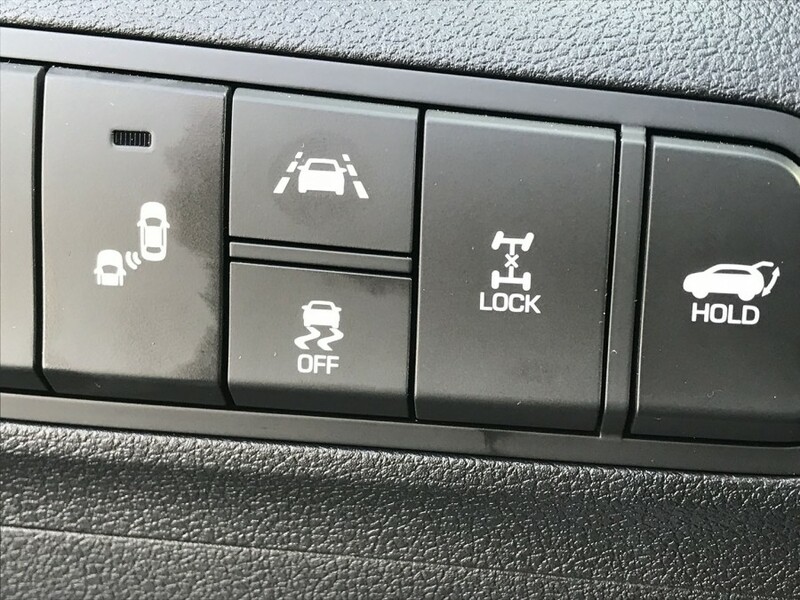 Many more expensive vehicles don’t offer all this, plus a wireless smartphone charger. Safety wise, the Ultimate trim model comes standard with forward collision/pedestrian warning/detection, lane keeping assist with driver attention warning, blind spot/cross traffic alert warning, tire pressure warning and many more. In fact, there are 32 standard most wanted features by todays car buyers including a panoramic sunroof. 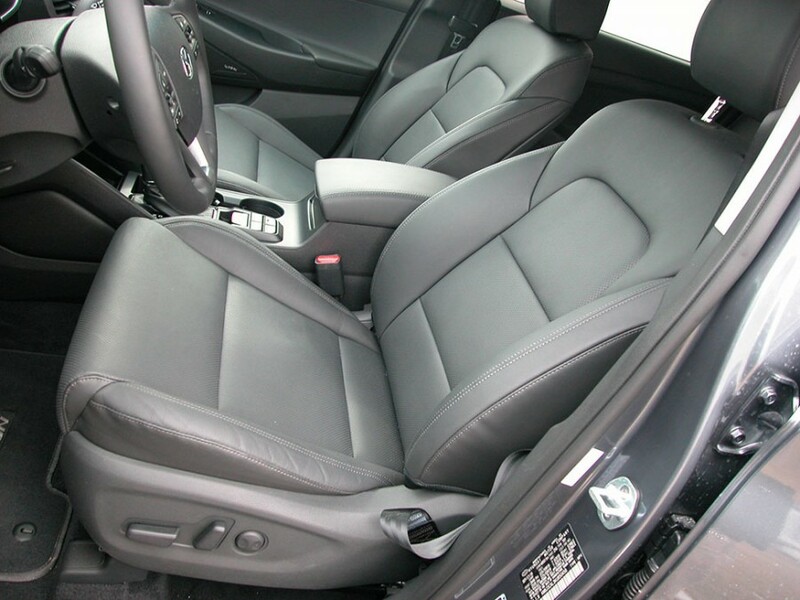 Back seats are soft and comfy with decent leg room provided the fronts aren’t racked well rearward. Head room though is spacious. 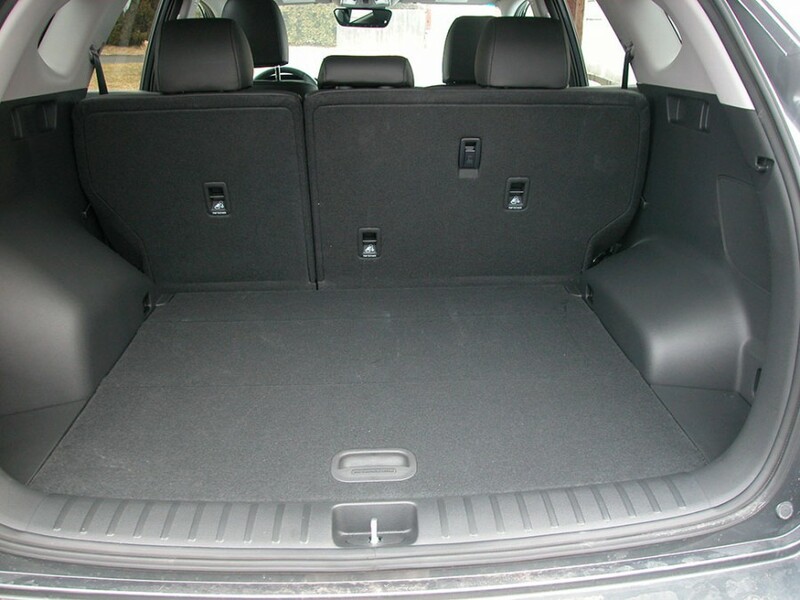 Tucson’s cargo area is rated at 31.0 cubic feet with the rear seats upright which, more meaningfully, measures 34 inches deep, 44 wide and 29.5 high. 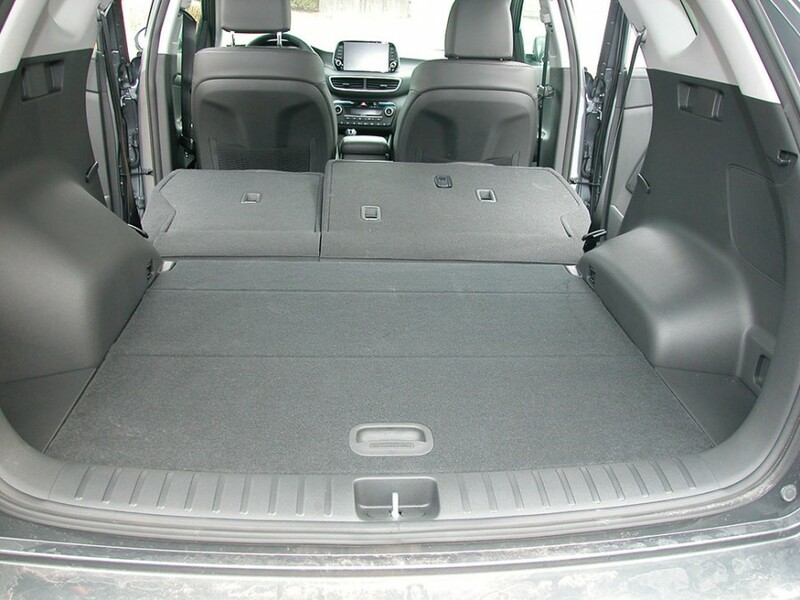 Flip the seatbacks and cargo capacity expands to 61.9 cubic feet for 67 inches of cargo loading depth after a low 29-inch lift over. 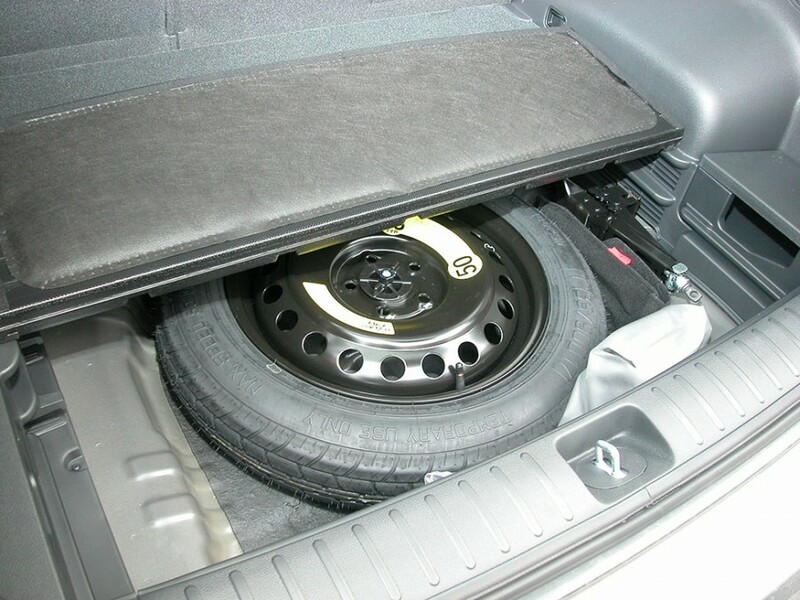 Beneath the cargo floor resides a space saver tire with some room around it to stash a small item or two. 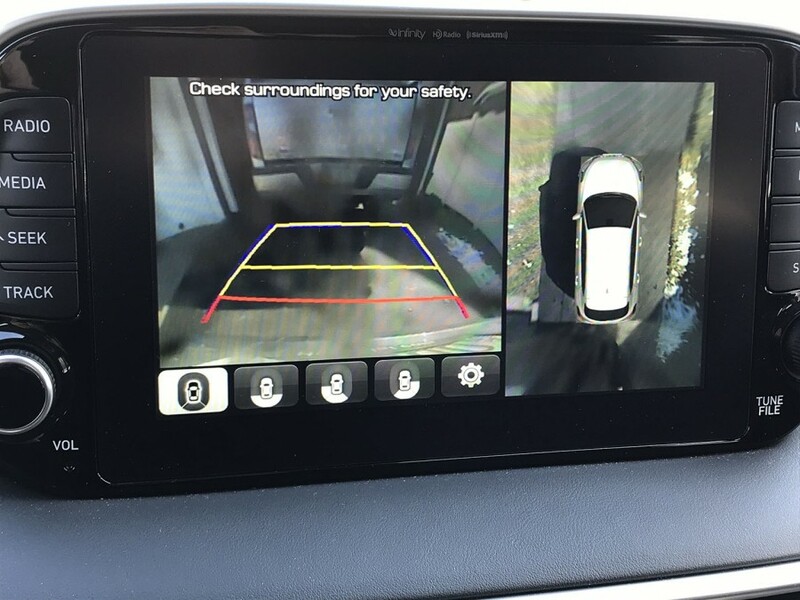 Tucson’s liftgate operation, incidentally, is convenient as it opens automatically upon standing by it – provided the keyfob is on you. No need to wave a foot under the bumper or other gymnastics. 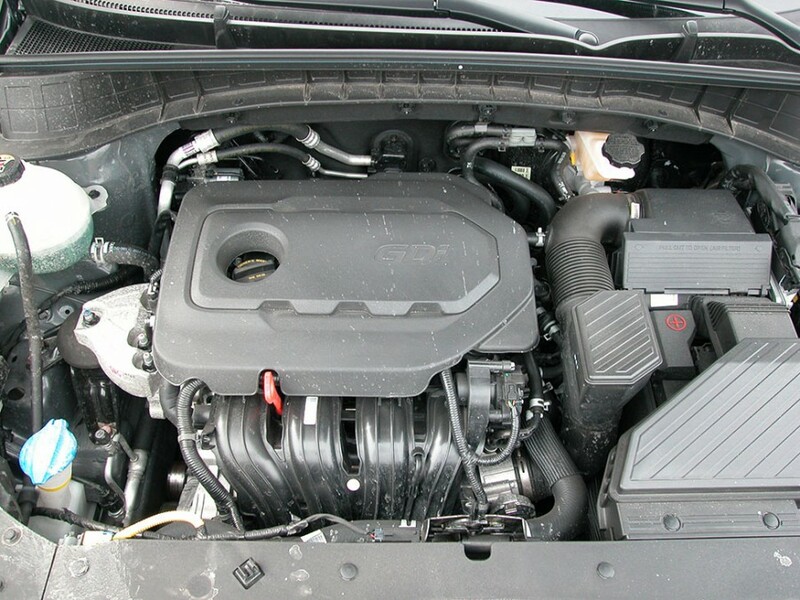 Tucson’s powertrain offerings consist of two engines: A 2.0-liter inline 4-cylinder with 164-hp and 151 lb/ft of torque and EPA mileage estimates of 21/26 mpg (AWD). The Ultimate came standard with a 2.4L, inline 4 with 181-hp and 175 lb/ft of torque for EPA mileage estimates of 21/26 mpg when coupled to the standard 6-speed automatic transmission (for both engines). The latter offers Sport and Normal modes with Sport tightening things up for a sportier ride and higher shift points for livelier performance. 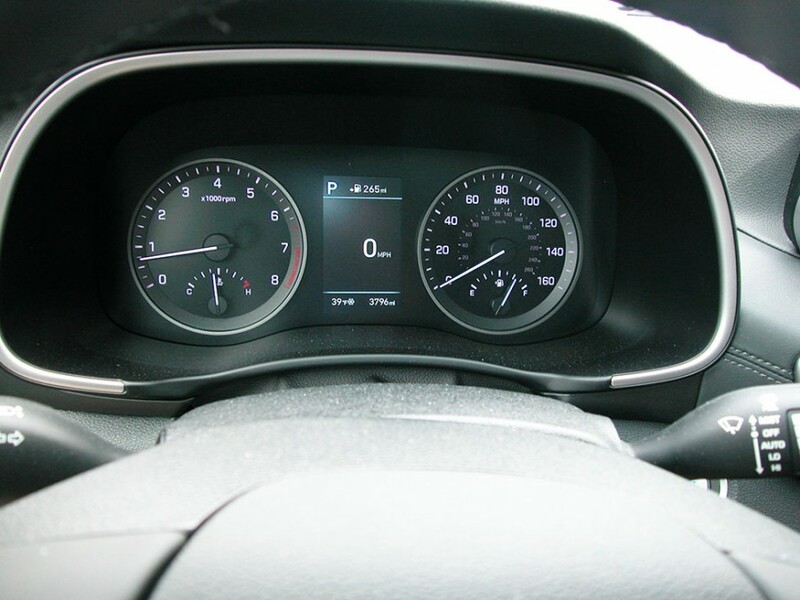 But even with Sport mode engaged, the rather hefty SUV (3,463-pound curb weight) provides a linear application of power. It’s not a head jerker, but provides adequate highway passing power. The ride on Michelin 18-inch tires is smooth and exceptionally quiet. Handling too is adept with a composed suspension system that maintains the vehicles stability in sharp turns and during quick maneuvers. Tucson parks easily too with a tight 34.9 foot turning diameter. 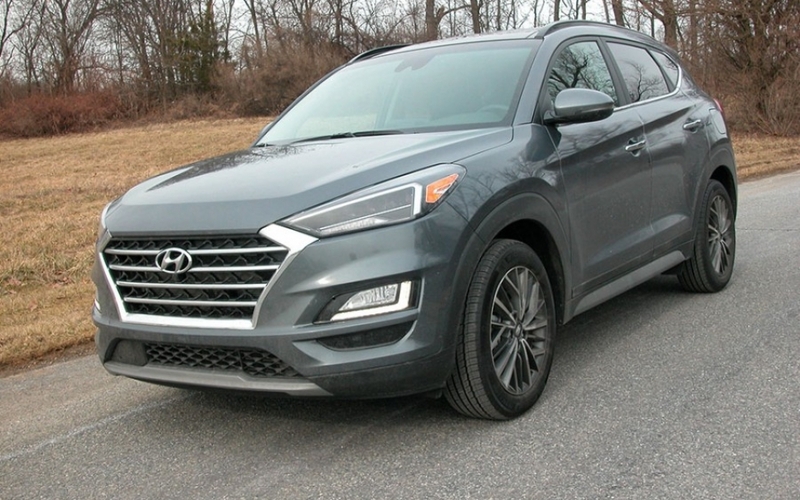 With all the aforementioned safety features, functions and amenities, and with no extra cost options, the Tucson Ultimate had a bottom line of a very reasonable $34,130, including delivery of $1,045. Tucson offers a lot of SUV for the money. But that’s not all. It received a full 5-star government overall vehicle safety rating, five for driver/passenger frontal crash, five for front/rear seat side crash and four for rollover. All impressive safety ratings. But there’s more. 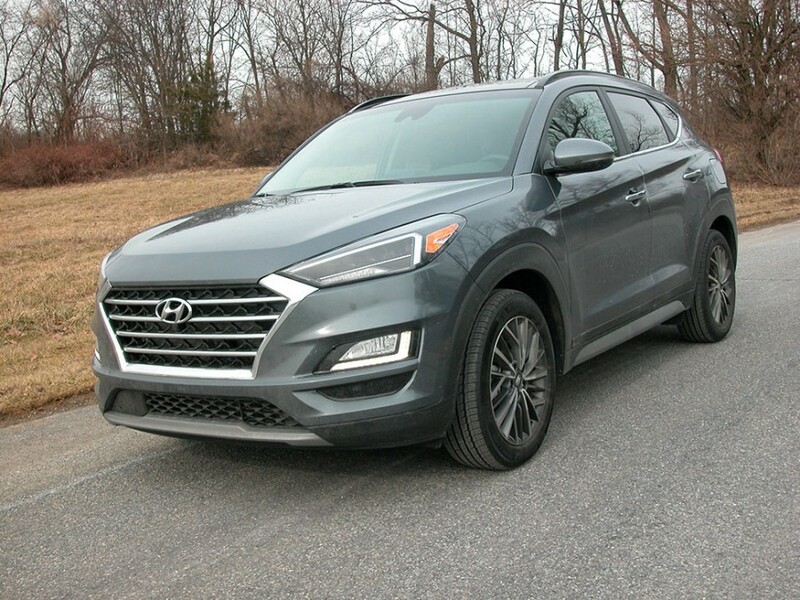 It’s tough to beat Hyundai’s generous warranties of 5-year, 60K new vehicle; 10-year, 100,000 powetrain; 7-year, unlimited perforation; and 5-year unlimited roadside assistance coverage. If you’re looking for a well equipped, safe and fuel efficient SUV, with a fabulous warranty, Hyundai’s Tucson should be in your sights. PS: Hyundai will debut their new entry level subcompact Venue, a Crossover Utility Vehicle (CUV) as a 2020 model at the upcoming New York Auto Show. It will slot below their hot selling Kona SUV. Stay tuned for more information.